WHEN: Monday, October 16th at 7:30-9 a.m.; 1-2:30 p.m.
Lt. Gov. Nungesser Is Calling All Louisiana High School Students for the LSPMB Design Competition! NEW ORLEANS – Oct. 9, 2017 – Louisiana Lt. Gov. 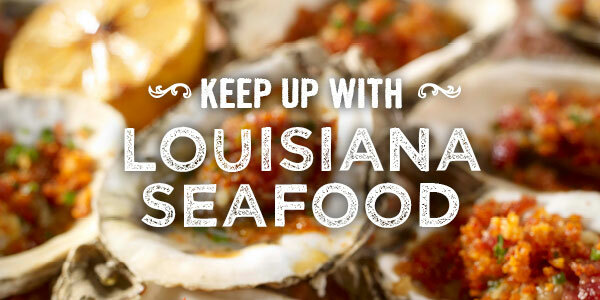 Billy Nungesser and the Louisiana Seafood Promotion and Marketing Board (LSPMB) in partnership with the Louisiana Department of Education today announced the search for a new logo and brand for the Louisiana Seafood program. Read more about Lt. Gov. Nungesser Is Calling All Louisiana High School Students for the LSPMB Design Competition! Due to the potential threat of Tropical Storm Nate, the Lt. Governor's press conference to announce the Louisiana Seafood Promotion and Marketing Board's re-branding competition scheduled for this afternoon, has been canceled. WHEN: Thursday, October 5th at 3 p.m.